Have you ever lent money to friends and been unable to remember who paid you back ? You never know if you have been paid back by your insurance for your health care ? You often return items you've purchased online but you don't know what has been refunded or not ? With Refunds, you'll have the answer to all these questions and more in a simple and effective way. 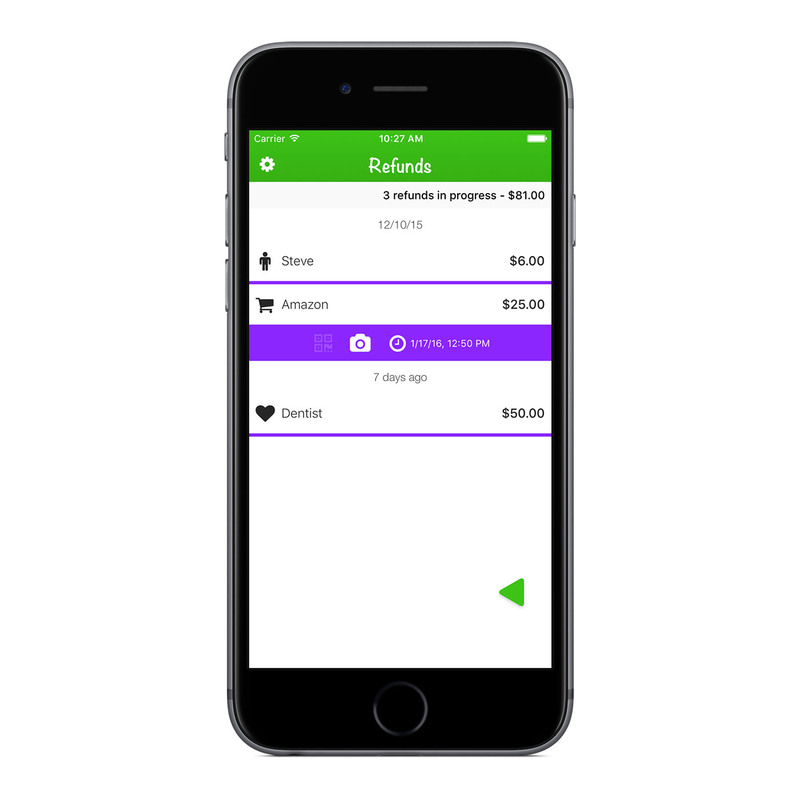 Refunds on iPhone & iPad runs on iOS 8 and is fully compatible with the latest system version iOS 9. 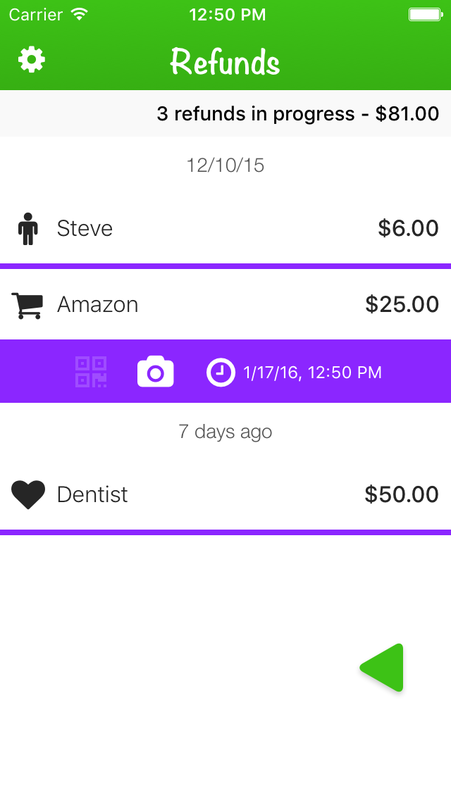 An WATCH app is also included to let you enter or validate a refund quickly without taking your phone out of your pocket. 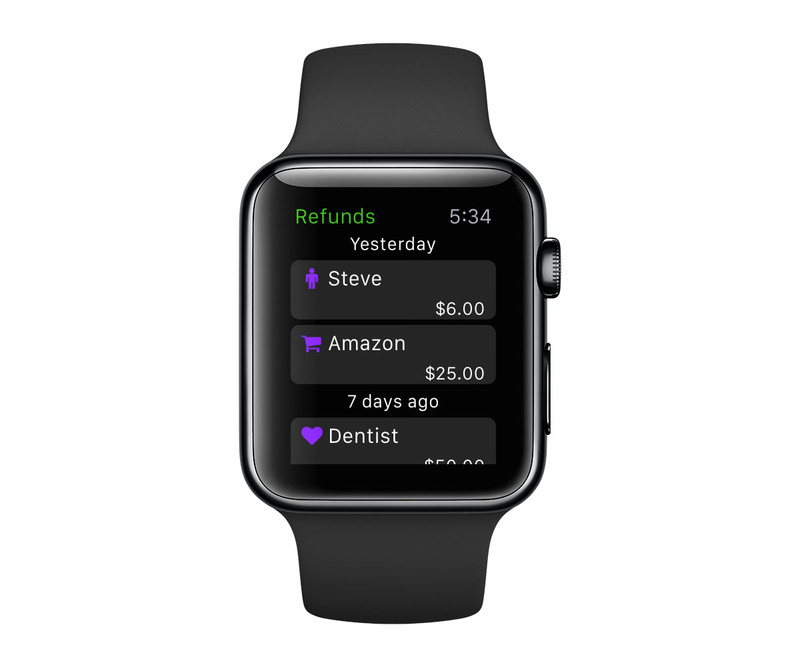 Refunds on WATCH runs on watchOS 2 and requires iOS 9 or newer to synchronize with the iOS app. 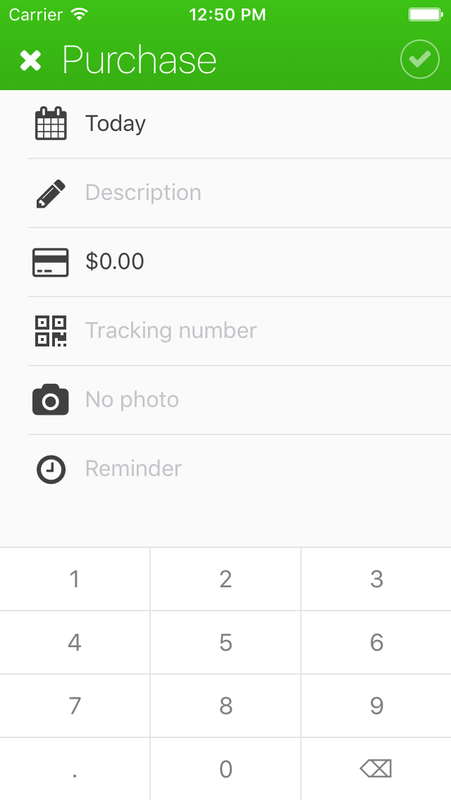 Synchronize your refunds seamlessly between all your iOS devices using iCloud. And if you have an WATCH, your data is automatically transferred through WiFi. 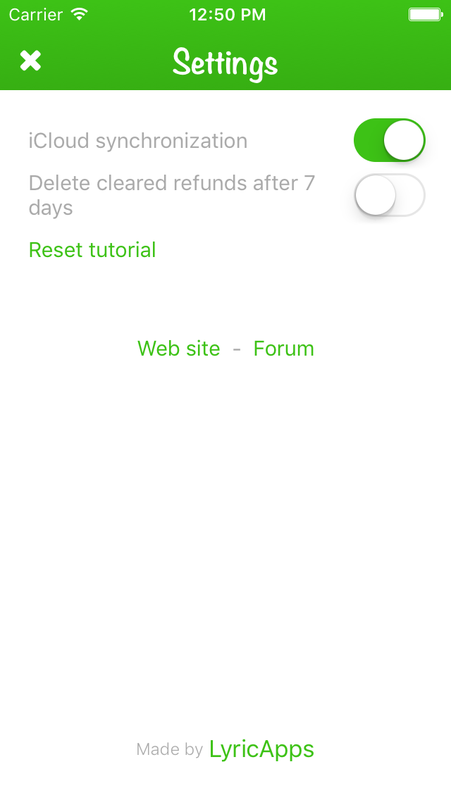 Refunds is localized in English and French.